Laguna Beach Gate and Garden Tour this year! This is my largest ever, creative endeavor. vintage brick wall with ceramic seashells. As you can see, there was zero curb appeal when I purchased the property. how charming this would become over time with some creativity. for a base to work off of and to mix the cement. vintage bricks pulled up from the over grown pathways in the back yard. It's been fun sharing the transformation with the neighborhood. For a peek at what is on the other side of the wall click here. I can see why you were invited! Enchanted! Wow! That's wonderful. You certainly deserve it. You soooooo deserve this Paulette! I am so happy for you. MAGIC is your forte! Miss you! Hugs! I've seen this in person & it's AMAZING! I dream of sitting in your studio creating shells with you! We aren't coming out to California this year but, I'll think of you my friend. Remembering our lunch, walk, visit & fun. Hugs! Congratulations Paulette. Your wall is magical, charming and enchanting and a beautiful work of art. I adore the way you added planters for flowers and plants. This is a very very deserving award and I'm thrilled for you Paulette! 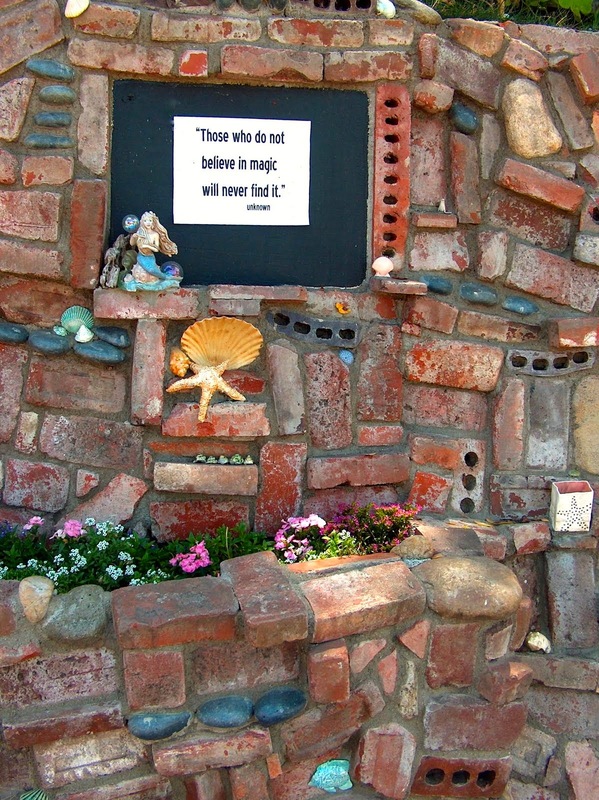 One cannot help but be uplifted and smile when driving by or walking by your enchanting wall. Thank you for enriching us all!! I had more time to come back to this post, which I wanted to do and am really studying how you did that -- I am overwhelmed. Really taking time to look at the details and context brings out so much. Your merit award was well deserved! Congratulations! Congratulations Paulette! What a work of time and love you are creating. And still another 100 feet to go - makes me tire to even think about it. So glad you were honored for your creativity. Congratulations! It's a beautiful transformation. 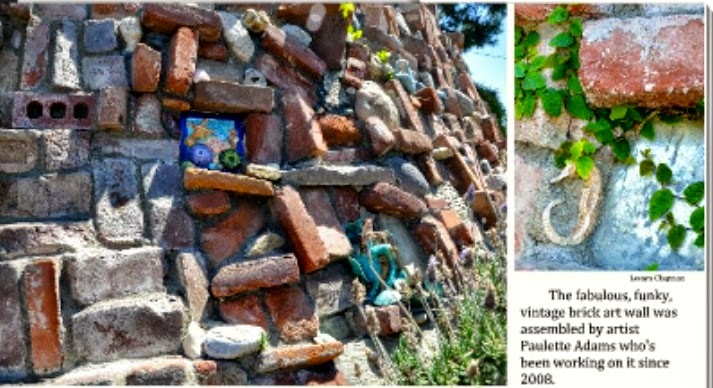 Your home is magical inside and out, Paulette!